Highlights of the Carabao Cup game between Fulham and Bristol Rovers. 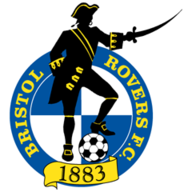 Bristol Rovers shocked Fulham as a first-half strike by Ellis Harrison earned them a 1-0 Carabao Cup win. The winner came after only 12 minutes, Harrison springing the offside trap after a through-ball by Liam Sercombe, rounding the returning Fulham goalkeeper Marcus Bettinelli and slotting home from close range. While the League One visitors settled down after their goal, Fulham, who gave a debut to Sheyi Ojo, their new loan signing from Liverpool, looked disjointed, and struggled in particular with their final ball. Indeed, they had to call on Bettinelli to keep the deficit to one in the 43rd minute as he pulled off a fine point-blank save from Rovers captain Tom Lockyer. The hosts put Rovers under more pressure in the second half, although they still lacked a cutting edge and gave visiting keeper Sam Slocombe relatively little trouble. 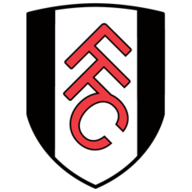 With the Craven Cottage crowd becoming increasingly agitated at the failure of their side to create any clear openings, Fulham brought on Ryan Sessegnon for Adetayo Edun with less than 10 minutes of the game remaining. Neeskens Kabano had the best effort of the game for Fulham after 87 minutes when Aboubakar Kamara found him in space in the area, but managed to fire his shot just over the crossbar. Rovers were able to see out the four minutes of additional time, despite Kamara heading wide late on.